You’ve loved your manuscript into existence. Your characters are real to you, your fictitious reality more real than every-day life. 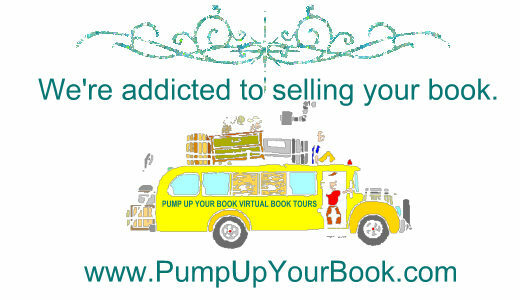 Now it’s time to find an editor who feels the same way about your book, and so it becomes imperative that you seek and eliminate any problems that may flag an editor and send your submission into the rejection pile. Below are ten suggestions on what to look for when editing your manuscript—remember, the editor considering your submission will look for them. But, before you can apply these ten things, you must acquire an objective viewpoint. That means distancing yourself from your baby. Wean your characters and plot by putting them to bed for a period of time. A sufficient period of time varies for each author, but once a week or two, or a month, or maybe even a couple of days, has gone by, read the manuscript from beginning to end. I recommend doing this read-through with the track changes feature on, if you’re using a program that has this feature. If not, highlight text as you go along, so you can see at a glance what edits you’ve made, or want to make. Also, remember, this first time through you’re reading for what’s wrong, not for what’s right. Once you’ve made your initial edit, you’ll read the manuscript again for flow, emotional intensity. . .basically, what’s right with the novel. Then you’ll be ready to submit your work with confidence that you’ve produced the best, most flawless product within your power. 1) Have the first few sentences in the scene set the intended tone? The first few sentences should not only tell whose POV in which the scene is written, but also set the emotional tone for the entire scene. If you want your reader to be frightened and apprehensive because your character is terrified (or is going to be terrified), then start the scene off with an apparent foreboding. Don’t spring the danger on your reader. It will pull them out of the story—remind them they are reading—and irritate them. (Irritate them too much, and they will put down the book for good.) If a danger scene begins with a light and airy picnic, without any hint of foreboding, when danger is sprung, the reader is going to say, “What just happened?” (Remember, your character doesn’t necessarily have to sense the danger, but your reader does.) It’s important to note that the set up for a scene might be in a previous scene, and that’s fine, just make sure the tone you set is consistent with the story flow, and your intended reaction from the reader. 2) Is the Scene told in the POV (Point of View) of the person who has the most to lose? As you read, envision the scene as a movie reel playing in your mind. If you’ve shot your scene from the point of view of the character that has the most to lose, it will be more emotional, and will draw the reader into a sympathetic standpoint. If the reader (or editor) cares about your character, they’ll read on. The more they read, the better your chance of getting that contract. Another advantage to writing the scene in this character’s viewpoint is the scene will be more visual because people who have a lot to lose notice everything, therefore your character will be more sensate and the reader (editor) will be drawn more deeply into the scene. So ask yourself, “Is this scene told in the POV of the character who has the most to lose?” If the answer is no, rewrite the scene in someone else’s POV. 3) Does the scene evoke Sensations, Memories, Emotions? 4) Have I eliminated all possible passive sentences? 5) Does the scene have purpose, or can it be eliminated and the pertinent information interwoven elsewhere? This is a biggie. It’s also the one that’s most difficult to decipher, and the most difficult to do. Remember, though, every scene must have purpose, move the story along, and/or reveal something pertinent about your character. If it doesn’t, cut it. Don’t add trivial information for the sake of word count, because if you do, you’re the only one who will ever read it. Editors want tight, exciting stories, not ones that go into detail about what the heroine had for breakfast—unless, of course, that breakfast was poisoned, contained something she was allergic to, or the heroine noticed everything in detail because she’s a chef. Every scene, every action must have a purpose that propels the story forward, or is necessary to getting insight into your hero or heroine. If your hero is a success-driven, and a new employee enters into the plot who seemingly has the boss under his or her thumb, it would be out of character for Hero to embrace this new employee openly, without any hint of ulterior motive or apprehension. He’s going to be cautious about this new employee—he or she might have his job two chapters down the road. He’s not going to take this person under his wing, buy them lunch and be all-around good buddies unless your hero has an ulterior motive (which you must make clear to the reader.) Characters must stay true to their personality even while they are developing into complex people. The recluse better not drive down the road with a bullhorn and speaker drawing attention to himself. If he is, then he’s not a very believable recluse. 7) Does the dialogue feel contrived? 8) Do I convey what I actually mean? An example of not saying what you mean would be “She shook her head, yes.” Shaking of the head (side to side) means “no.” Nodding the head means “yes.” Make sure that every sentence means exactly what it is supposed to. This one is tricky because our minds tend to read what we know is supposed to be there, and not necessarily what is actually on the page. The classic example of a redundancy is: “He stood,” instead of “He stood up.” (One cannot stand down, unless it’s a military order.) Even though this example is used often, there is merit in remembering it as one example in an infinite number of ways in which we use redundancies. 10) Omit speech tags if it is clear who is speaking. Speech tags slow a story down. It’s true they are a necessary evil, but keep them to a minimum. If it’s obvious who’s speaking, get rid of the tag. In many instances “he said” “she said” can be replaced with an action which tells the reader in a more effective manner who’s speaking. For example: “I’m going to show him just what he can do with his job.” Julie yanked the door open and strode into her boss’s office with vengeance burning in her gut. The reader will obviously associate Julie with the dialog, without a “Julie said” tag. Keep these ten things in mind when proofing your work and you’ll eliminate a great number of errors that bog down a story or make it unbelievable to your reader. 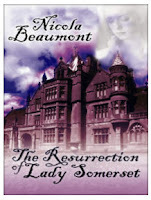 Nicola Beaumont is the author of THE RESURRECTION OF LADY SOMERSET (Wild Rose Press, Sept. '07). You can visit her website at http://www.inicola.net/.